The answer is easy. Santa Fe, New Mexico, of course! Santa Fe, New Mexico is a magical place complete with incredible views, venues, artifacts and rich history. Enjoy Native American culture, Pueblo-style architecture, stunning handmade jewelry and beautiful sunsets. Yet, this is only the beginning. Honeymooners exploring new lives together will discover Santa Fe’s colorful foundation. From landscapes to art museums to the beauty of its people, the impressions are totally unforgettable. Take an enticing look at some great ideas honeymooners will love. Indulge in exceptional artworks by Georgia O’Keeffe whose Abstract Expressionism, American Modernism, and New Mexico landscapes not only expose her life’s personality; but also offers an incredible history of Santa Fe’s naturally artistic disposition. It’s a great place to admire art with your special someone. New Mexico’s original 17th-century adobe construction for the Spanish seat of the government displays historical ambiance with period architecture. Walk through Palace doors where Spanish soldiers, merchants, and governing bodies passed through, enhancing and shaping New Mexico’s historical life. Enjoy Native American artisan’s handmade wares under the Palace’s portal each day. Walk hand-in-hand in the Santa Fe Botanical Garden. The Orchard Garden is a beautiful setting designed with romantic picnicking spots to embrace each other’s hearts. Take in the desert ambiance with indigenous plants, mountain views and warm, inviting daytime breezes. 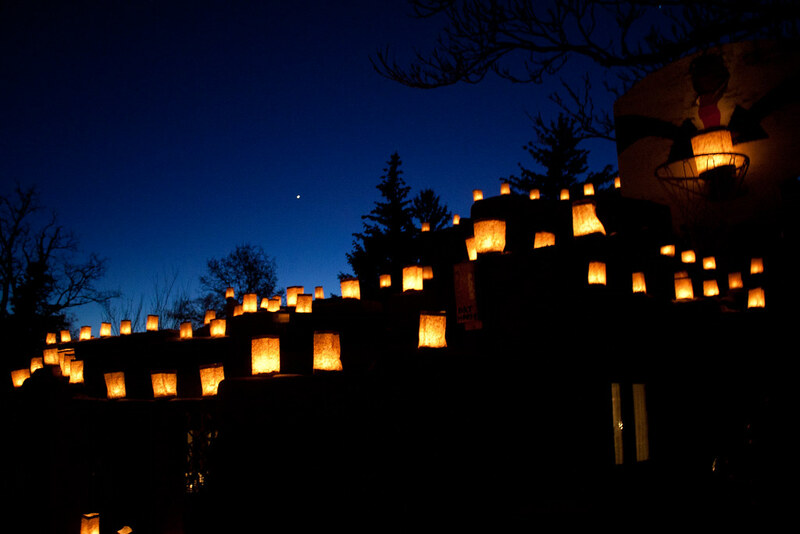 Snuggle up to all the romance Santa Fe has to offer. Book a stay at Four Kachinas Inn and enjoy luxury bed and breakfast accommodations including a fresh breakfast every morning. New Mexico has a way of mesmerizing lover’s hearts. Cool evenings, stunning sunset hues of reds, oranges, and blues, and Santa Fe’s calming spiritual essence create moments in time to remember. With so much love already in the air in Santa Fe, let Santa Fe turn your honeymoon into the perfect vision for your happily-ever-after.